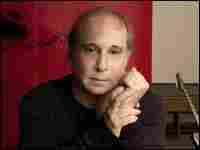 Paul Simon, Essential Then and Now Singer-songwriter Paul Simon, recipient of the first Library of Congress Gershwin Prize for Popular Song, began his career in 1964 as half of the '60s folk-rock duo Simon & Garfunkel, delivering classics like "The Sound of Silence" and "Mrs. Robinson." He went on to a successful solo career, wrote film soundtracks and Broadway shows, and has even done some acting. This interview first aired on Dec. 11, 2000. 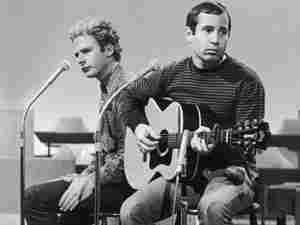 Paul Simon (right) performs with Art Garfunkel in 1965. 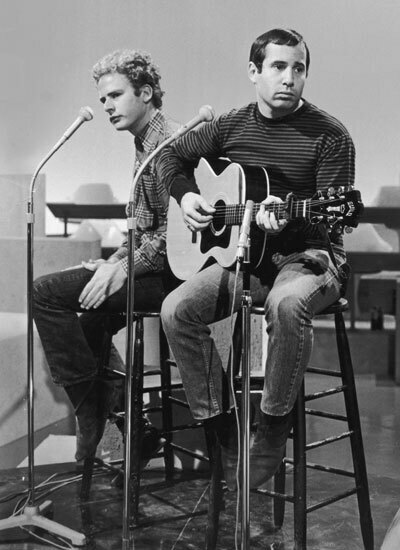 Singer-songwriter Paul Simon, recipient of the first annual Library of Congress Gershwin Prize for Popular Song, began his career in 1964 as half of the '60s folk-rock duo Simon & Garfunkel, delivering classics like "The Sound of Silence" and "Mrs. Robinson." He went on to a successful solo career, with hits including Graceland, "50 Ways to Leave Your Lover," and "Me and Julio Down by the Schoolyard." He's written film soundtracks and Broadway shows, and has even done some acting. Simon was inducted into the Rock and Roll Hall of Fame both as a solo artist and as part of Simon & Garfunkel. The pair also received a Lifetime Achievement Grammy. This interview first aired on Dec. 11, 2000. "Me and Julio, Down by the Schoolyard"
"How Can You Live in the Northeast"
"Diamonds on the Soles of Her Shoes"
Paul Simon has become one of music's most venerated icons: His career started 50 years ago, when he teamed up with schoolmate Art Garfunkel and began writing pop songs tinged with folk, rock and world music. Their harmonies and Simon's songs made them an enormously successful force in the late '60s, but they broke up in 1970, soon after the release of their immensely successful Bridge Over Troubled Water. Simon subsequently embarked on a solo career, finding critical and commercial success with Graceland, Still Crazy After All These Years and You're the One. His latest, Surprise, came out this past spring.